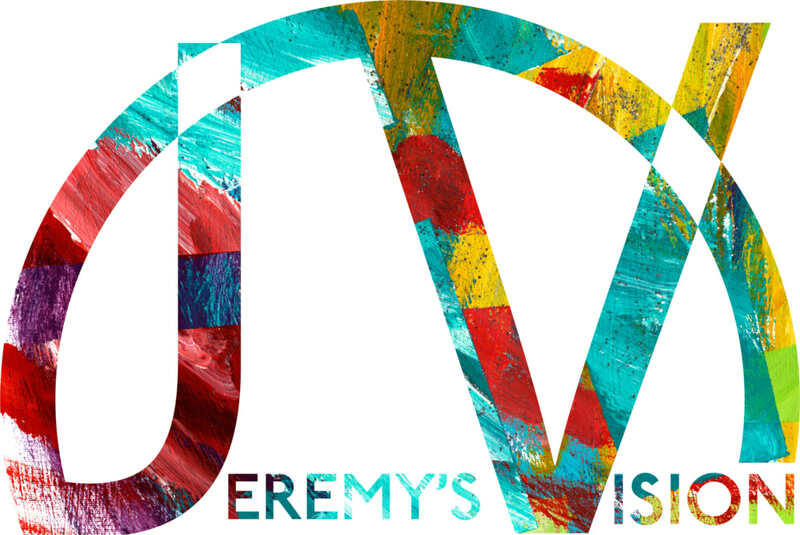 This is one of Jeremy's earliest dream paintings. The two hearts in the middle represent two of the three founders of the Naitonal Autism Association. The butterfly symbolizes the third founder, who had recently passed. 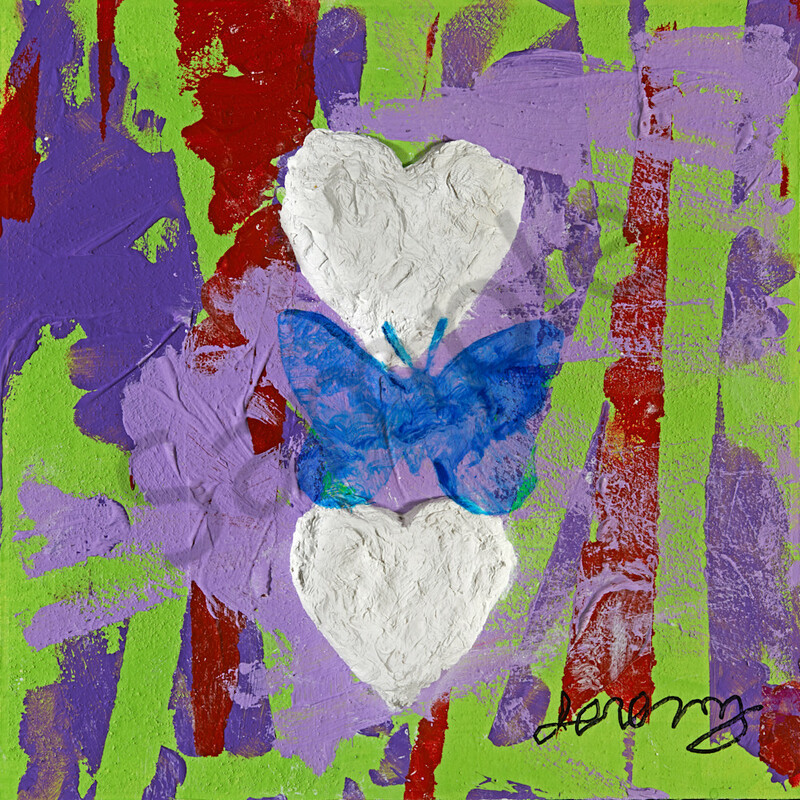 Jeremy created the butterfly floating over the two hearts by painting on a shadow box. 5% of all sales of this item will be donated to the National Autism Association. "Kindly I had a dream I painted the aura of the moms of the National Autism Association (NAA). The moms were represented by the colors of justice and health that are nicely red and green. I greatly felt their mission of love represented by the sign of two hearts in the middle of the painting only in white. In the hearts was a butterfly representing the lost friend. It was blue. I nicely had to go to the middle of the painting to realize the symbol of her happy spirit looking down on her friends. The women of NAA are frankly, greatly, helping the lives of families and children with autism. They will truly make an important difference in the lives of many people represented by the color purple and lavender. Lavender is the color representing caring for loved ones and purple represents the leadership the NAA moms provide. Nicely they are great."